Subliminal-Studio: Join our affiliate program! Join our affiliate program and keep 50% of every sale! It's never been EASIER to make money with Subliminal-Studio! © 2019 Subliminal-Studio.com. All Rights Reserved. 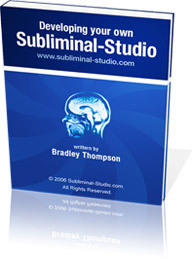 Subliminal-Studio is an operating division of The Self Development Network.